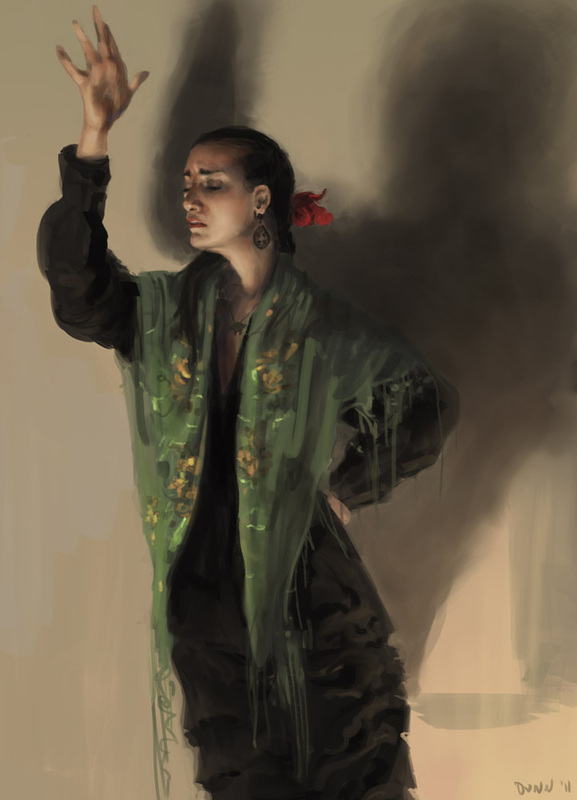 Flamenco is the music and dance that came to be when the Roma (Gypsies), Moors, and Jews in Spain combined their musical traditions, particularly beginning during the Inquisition when all three groups were being persecuted. Due to this coming together in a time of turmoil, Flamenco became an art form giving voice to the disempowered and marginalized. Because of the intensity of the emotions projected, it has come to be seen as one of the most passionate musical and dance forms around today. Over time, several different rhythms developed to portray the whole spectrum of human emotion, from the sadness and loneliness of persecution, to the joy of being in love. The musical and performance traits that characterize Flamenco are the cante (voice), baile (dance), toque (guitar), and palmas (percussive hand-clapping). Today Flamenco is one of the most transcendent art forms in the world, having recently been named a World Heritage Art Form by the United Nations Educational, Scientific and Cultural Organization (UNESCO).